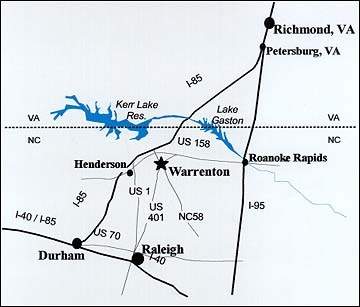 from From I-85 and I-95, and a short drive from Richmond, Virginia and Raleigh, North Carolina. 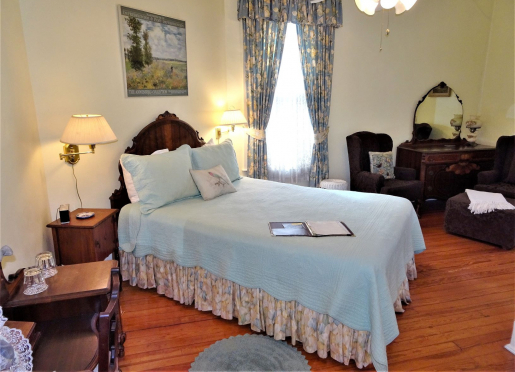 The Ivy Bed and Breakfast is just a leisurely stroll to quaint downtown antique and specialty shops, Hardware Café, historic churches and the courthouse square on Main Street, USA. Time has stood still for over 200 years in Warrenton, a small town in North Carolina. Its rich revolutionary and antebellum history is nearly perfectly preserved and many of the magnificent mansions have been beautifully restored. Others beckon for attention to those who love the past. 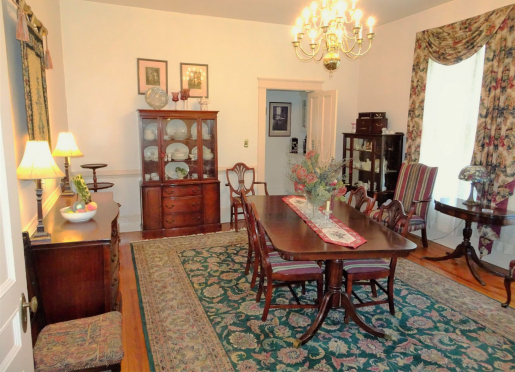 With many sensitive restoration projects in process, Warrenton is rapidly becoming an important art and antique center, attracting retirees and professionals from all over the country. 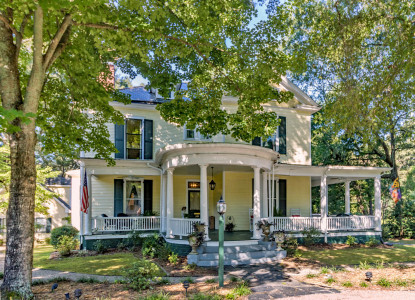 Stroll on a walking tour along historic paths and savor gracious Southern living of a by-gone era. 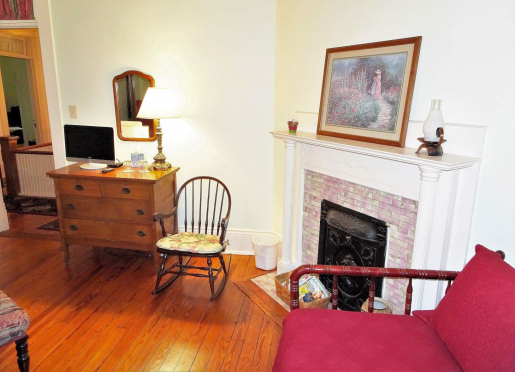 Within a short drive you will find many more wonderful plantation homes. Well behaved children with responsible parents are always welcome at The Ivy. Ellen's special pancakes are always a hit with the little ones. 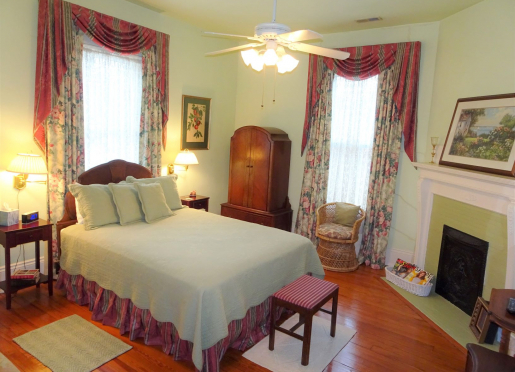 Guest rooms are named after the ladies of the house who lived here during its history. 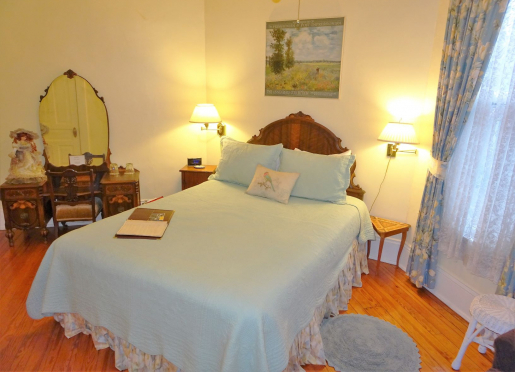 All rooms feature queen-sized beds, beautiful heart pine floors, lovely window treatments and interesting antiques. The Ivy has four bedrooms and three baths. 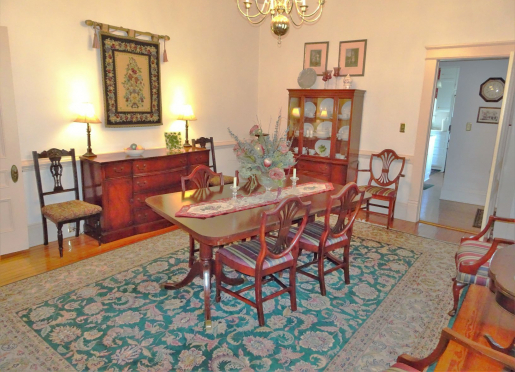 Features include fireplaces, heart pine floors, lots of stained glass, antiques, and lovely Waverly window and bed treatments. Equipped with modern conveniences without losing its charm and character, the 1903 Queen Anne home has undergone an extensive restoration. Cuisine ranges from Stuffed French Toast, Waffles Banana Foster to Sausage Gravy and Biscuits. 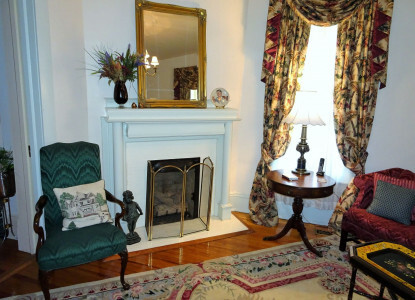 The Ivy is everything you ever wanted in a bed and breakfast in a historic town full of ante bellum homes, low-priced real estate, antique shops, a real Main Street, and wonderful people. 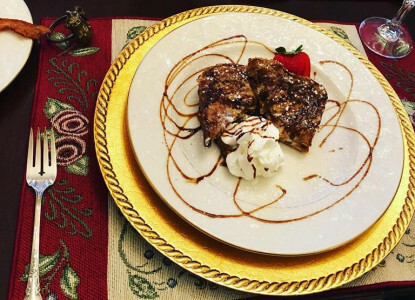 We also offer a variety of special packages including Cajun cooking weekends and Lovers Retreats. 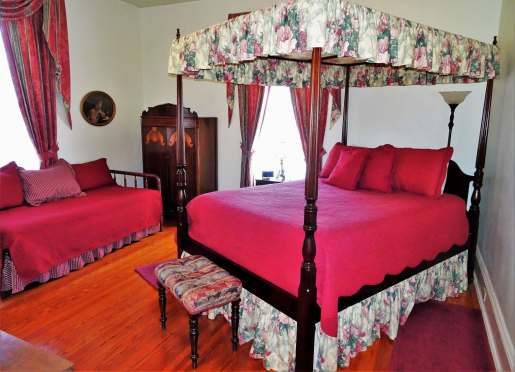 Guest rooms have queen-size beds, clock radios, air conditioning,cable television and wireless high speed internet access. Amenities in select rooms are an oversize bath tub with Jacuzzi jets, ceiling fan, canopy bed and a DVD player. Enjoy the many different area activities or relax close to home. Rock on our beautiful wrap-a-round front porch or sit by the fireplace and read a good book from our library. If you have musical talent, you might enjoy playing our antique grand piano in the Carter Williams Parlour. All guests can enjoy early morning coffee served in the Dining Room or prepare yourself. For the romantic, plan a quaint and unique wedding or renew your vows for an anniversary. The Wedding Night Special Package or Lover's Retreat Package are great ways to celebrate a marriage or anniversary. Give the one you love a gift certificate to celebrate your love. 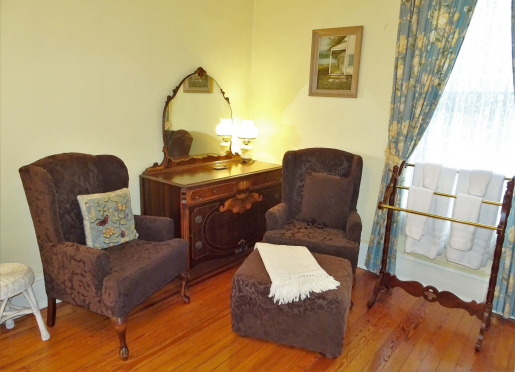 In addition to the quaint guest rooms, The Ivy has many other interesting and quiet corners to enjoy. 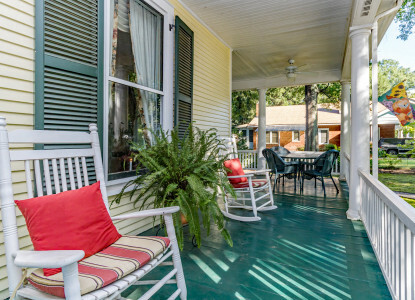 A large wraparound porch with several wicker conversation and dining areas, rocking chairs, ceiling fans, and a round portico entrance. 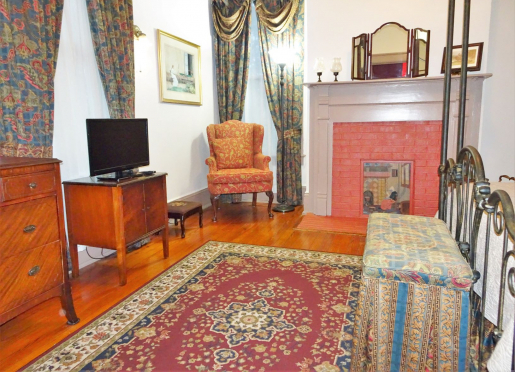 The Carter Williams Parlour is named after the first owner of the house and is a wonderful area to relax by the fireplace, listen to music, visit or read a good book. 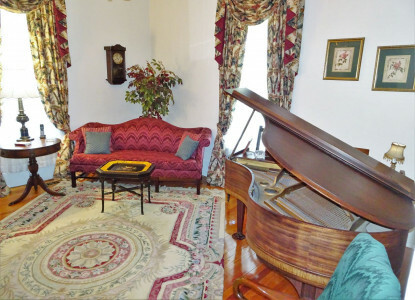 Guests are invited to play the baby grand piano. 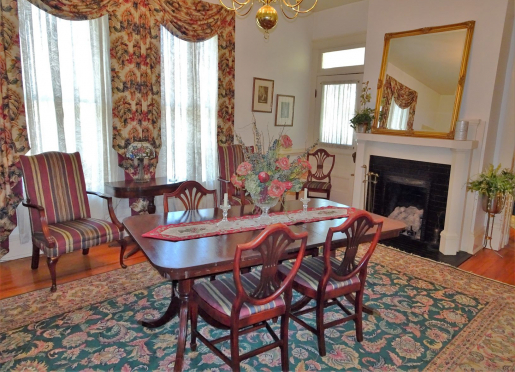 A large and elegant room with an enormous table, a glorious oriental rug, stunning window treatments and a fireplace for chilly mornings. A charming outbuilding is named after Miss Angie Peete, the maid and cook for the house for decades.